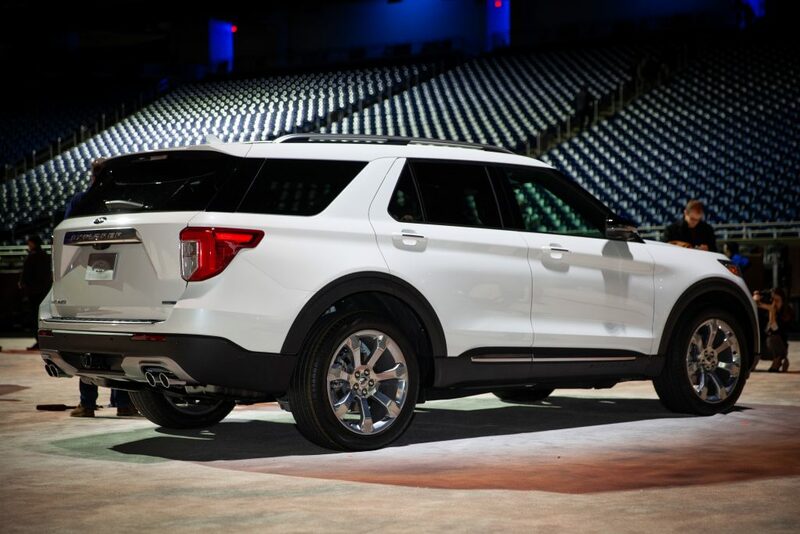 From front to back, the 2020 Explorer appears to be a thorough evolution of design, while being redesigned from the ground up, and built upon a sophisticated all-new platform, this is definitively a revolution that updates one of Ford’s most iconic modern nameplates. In 2010, the then new 6th generation Ford Explorer brought with it a mechanical departure by utilizing a front-wheel-drive-based platform. Those days are over. 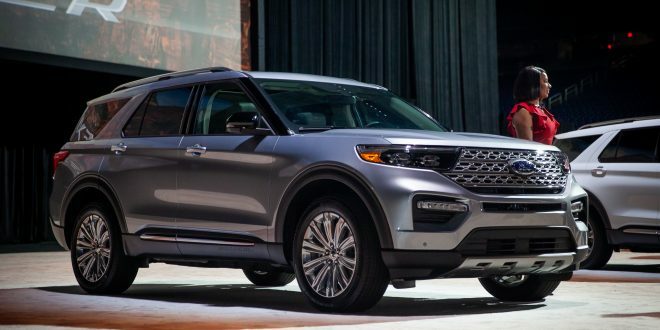 Like the 2020 Lincoln Aviator which debuted in November, the all-new Ford Explorer rides—once again—on a rear-wheel-drive platform. Less about making the Explorer more truck-like, the move to a rear-wheel-drive architecture will provide a more dynamic driving experience, increased cabin space, and accommodate future models that share a version of the platform: like the next-gen Mustang. Under the hood, a 2.3-liter EcoBoost inline-four is standard across Base, XLT, and Limited trims. Optional engines include a 3.3-liter naturally aspirated V6, along with 2.7-liter and 3.0-liter EcoBoost V6 engines. And a first for Explorer, 2020 introduces a hybrid model. At a glance, the new Explorer looks like, well, an Explorer. Despite being redesigned from the ground up, Ford did not entirely abandon the now familiar profile of the outgoing model. It did, however, turn up the sporty dial, and the result is an overall more athletic looking vehicle. 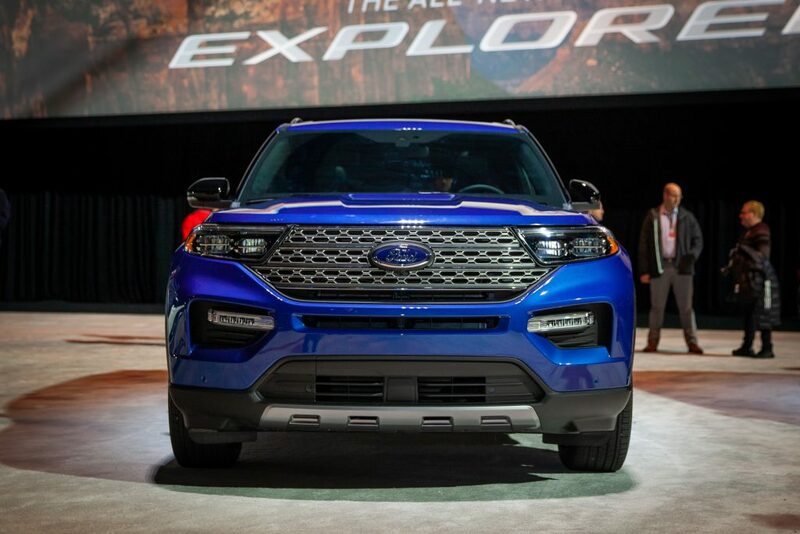 Up front the new Explorer clearly draws inspiration from crossover stablemates like the Edge. Abandoning the rectangular grille and headlights introduced with the last generation’s facelift, the Explorer’s more “truck-like” characteristics have been softened and swept back. Boasting “100% L.E.D. lighting”, the new model’s headlights, taillights, and accent lighting are tastefully integrated in the overall design, placing functionality over stylistic flourishes. Already riding on a longer wheelbase, the new Explorer manages to do a good job balancing its length and combating the flat-paneled and portly look of past Explorers. Accommodating a now longitudinally-mounted engine, the hood looks notably larger but nicely tapers around the front fascia. Stretched from front to back is a deep bodyline that provides the new Explorer with a well-defined waistline. 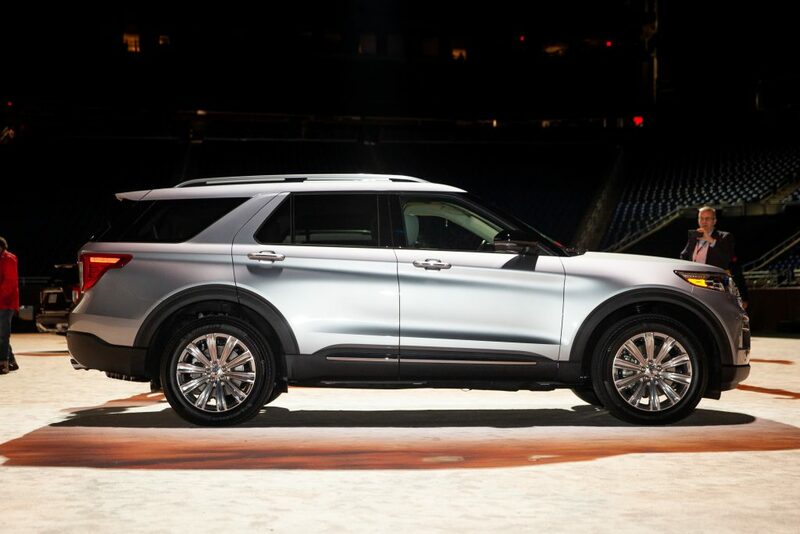 Undeniably an SUV, the new Explorer’s presence leans equally toward both ‘sport’ and ‘utility’. Stepping inside, the overhaul theme continues with a stylish new cabin that’s feels vastly more premium than the old Explorer. Behind a thick-rimmed steering wheel, those who opt for higher trimlines will find a 12.3” diagonal display that serves as a multifunctional instrument cluster. Front and center on the dash is an 8-inch infotainment display that comes standard, while an impressive 10.1” portrait-mounted screen is optional. Utilizing a round dial in place of a traditional shift lever, physical buttons are minimal, with exceptions that include audio and HVAC controls, as well as a dial that manages the Terrain Management System for all-wheel-drive models; providing seven programmed driving modes that adjust steering, throttle, traction and stability controls, for various terrain and weather conditions. 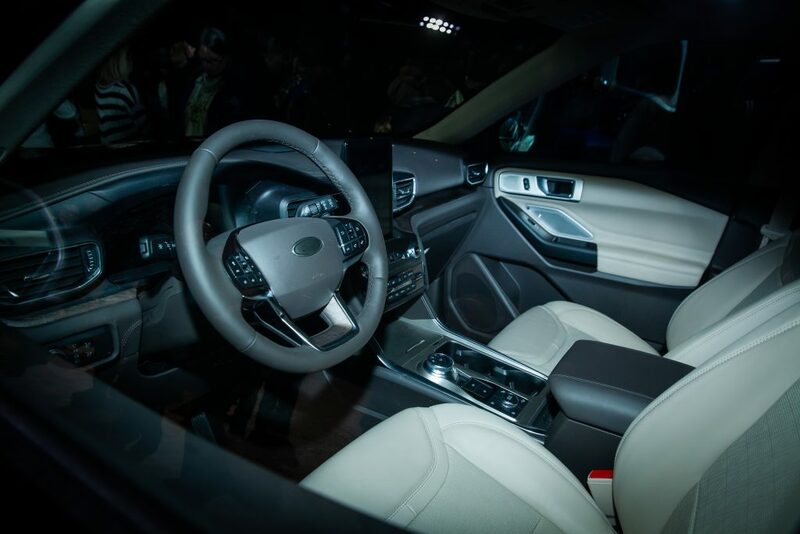 Packing in standard safety tech like Ford Co-Pilot360 (a system that senses surrounding traffic to appropriately respond to driver input) and updating existing features like Active Park Assist, help make the new Explorer as competitive in 2019 as it was decades ago, when it almost single-handedly established the mid-size SUV segment. Seating seven passengers more comfortably than ever, thoughtfulness went into things like kid-friendly cup holders to accommodate juice boxes, USB outlets that are always within reach, and a built-in wifi hotspot (which in our society could be considered a life-support system). All in all, the new Explorer caters to families of the digital age, or for single folks, it can double as a rolling internet cafe. Not only has Ford overhauled an iconic nameplate that contends in one of the industry’s most competitive segments, it is setting the stage for the Blue Oval’s post-sedan era. Expect additional details on the 2020 Explorer next week, including a formal introduction to the 2020 Explorer Hybrid and Explorer ST models. Looking to see this in person and for one to show up at work.